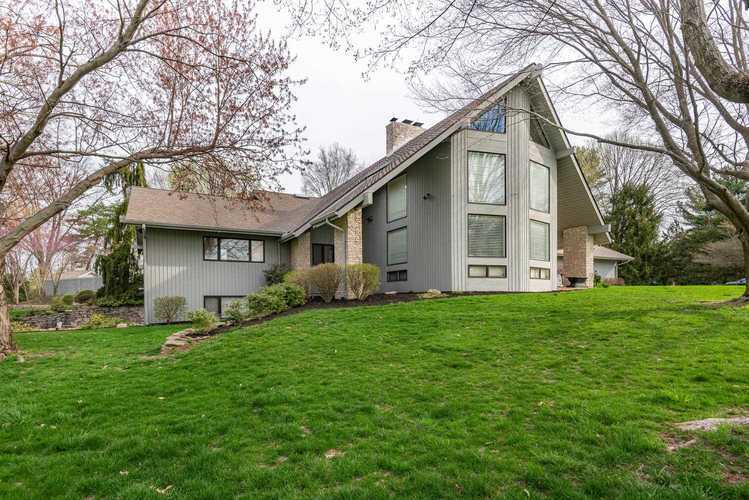 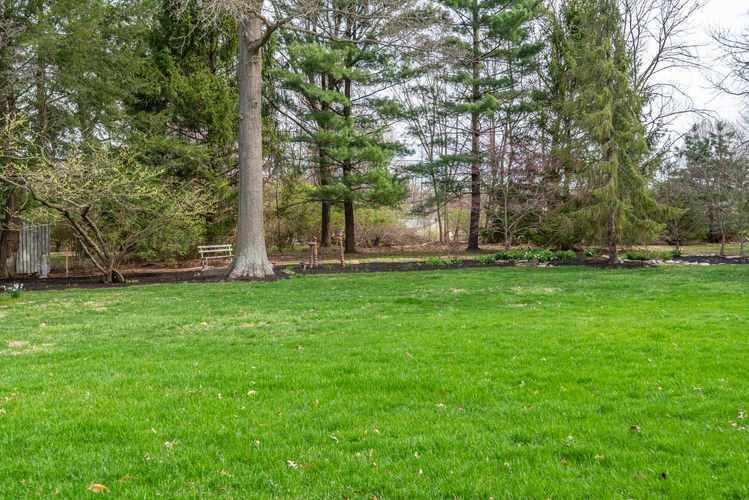 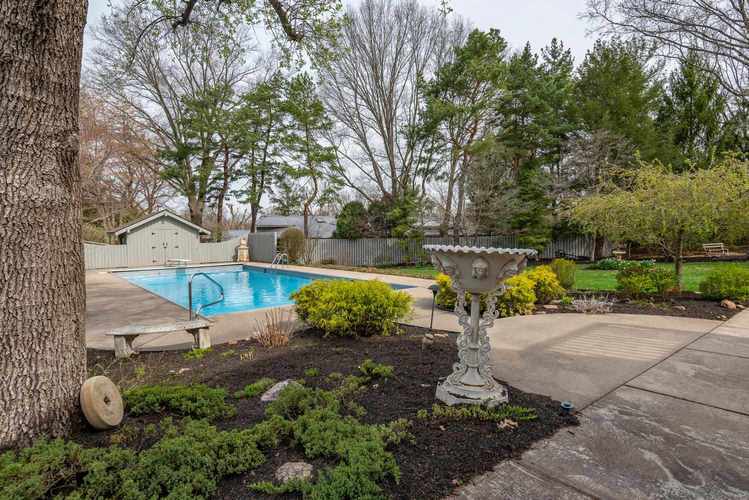 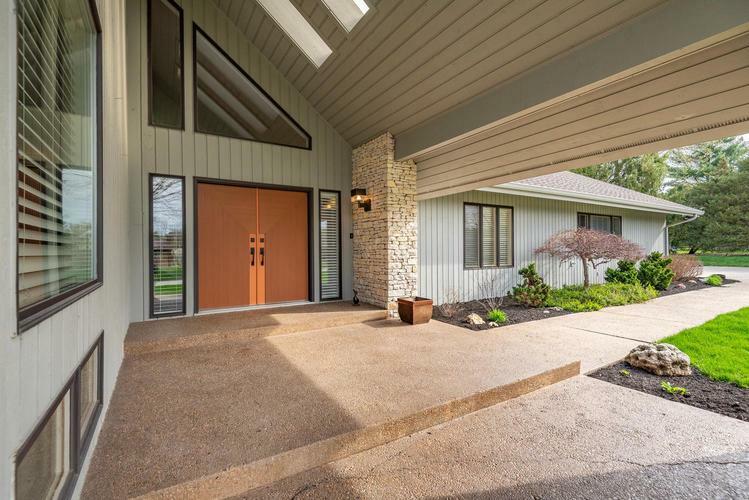 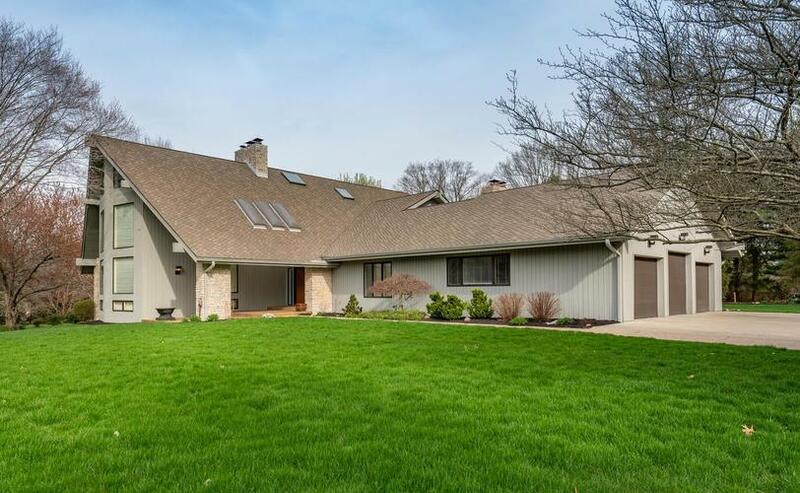 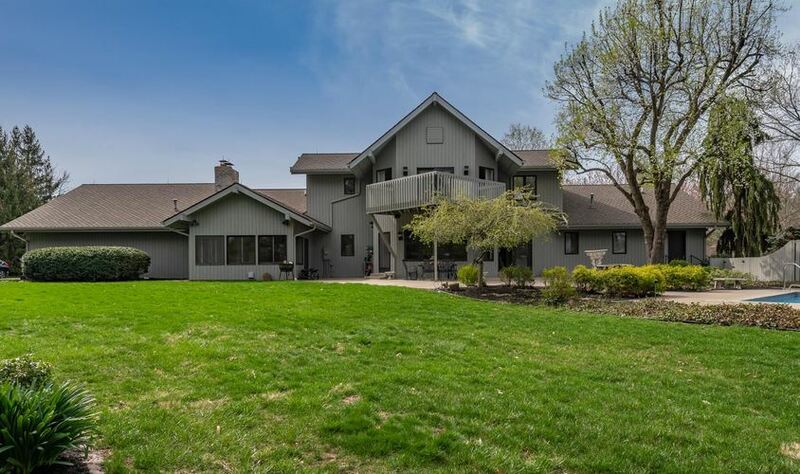 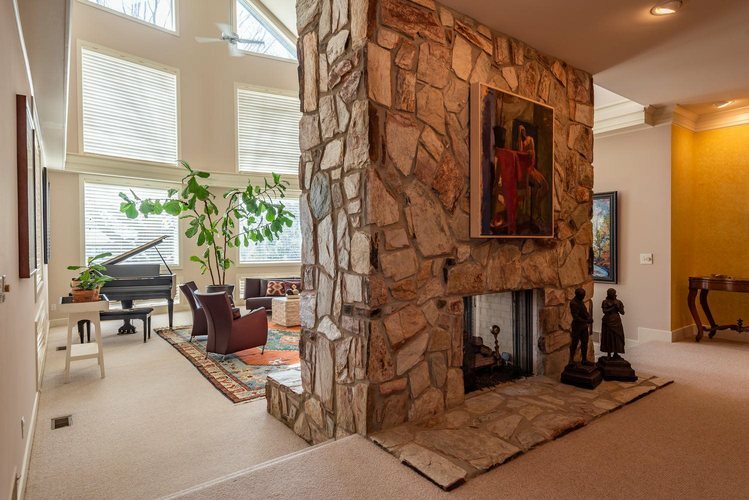 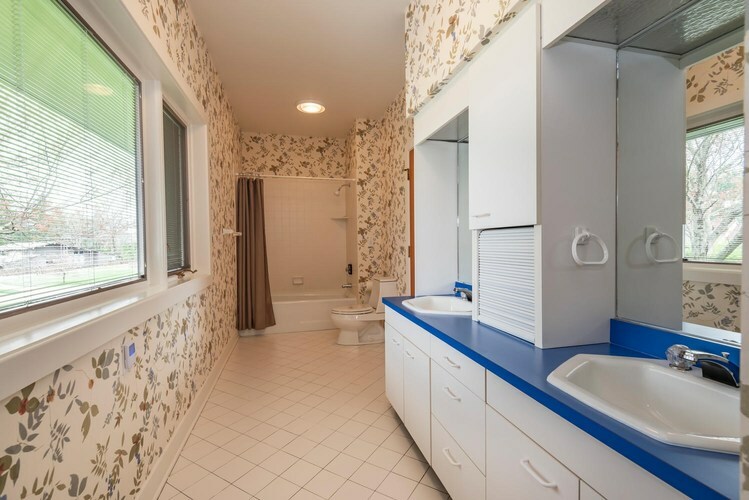 This custom one-owner Hoosier Acres home on a 1 acre site has a stunning mid century style direction and soaring ceilings and beautiful linear space. 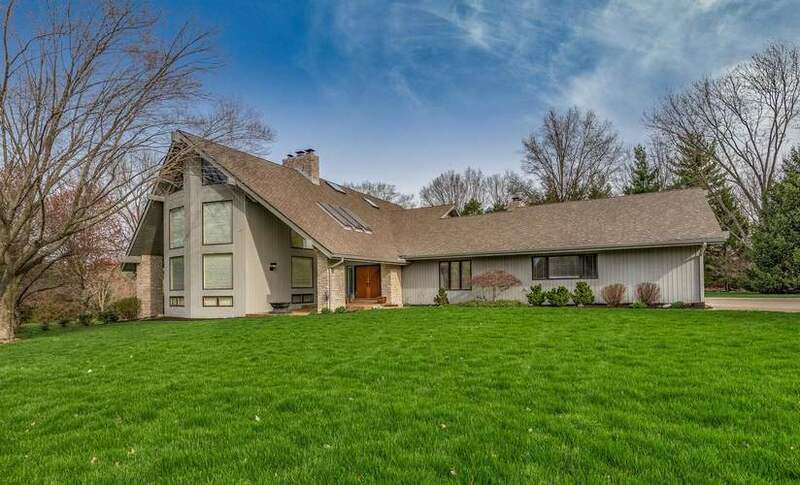 This architectural home was crafted by John Ingram with 2 x 6 construction, energy windows and features a two-story Library, a grand foyer, a pool area designed by Dan Higgins, a recently created Stone Cabin kitchen with dual islands, Wolf range, warming oven, custom tile backsplash, contrasting cabinetry, beautiful granite and quartz and a breakfast room that overlooks the estate lot. 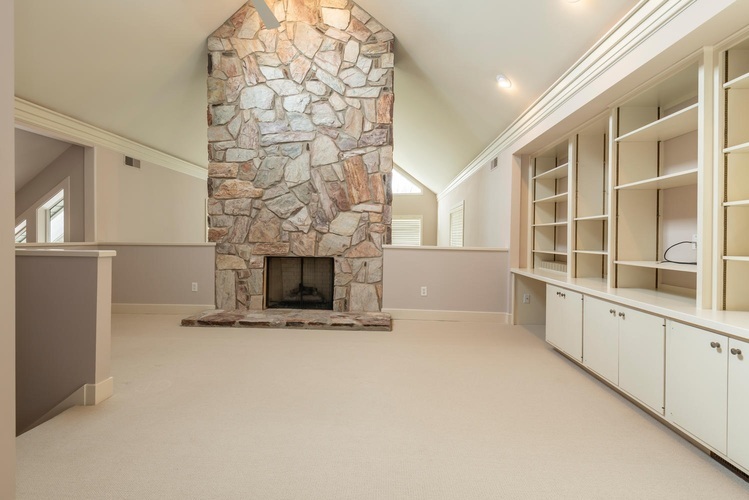 There is a beautiful dining room with fireplace that opens into a two-story living room with cathedral ceiling and glass, Arizona stone fireplace, a cozy secondary family room with stone fireplace and media area, a comfortable screened porch, and additional main level secondary bedrooms with Jack and Jill bath and a dedicated laundry room with task area. 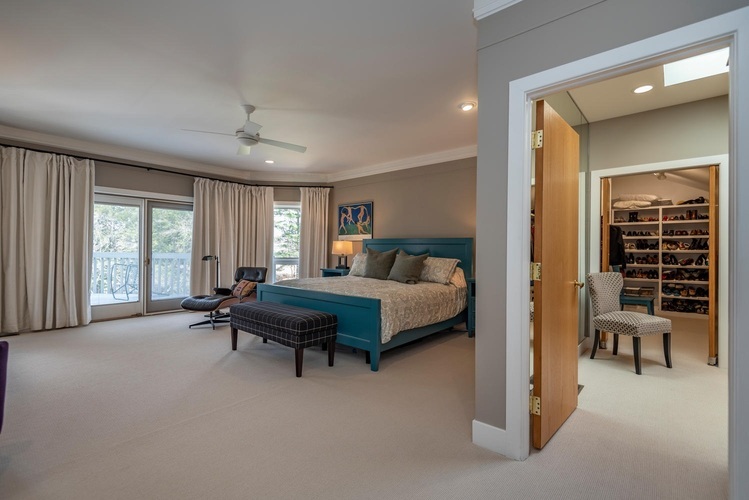 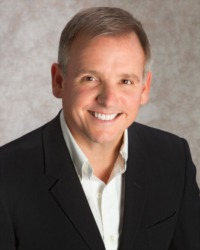 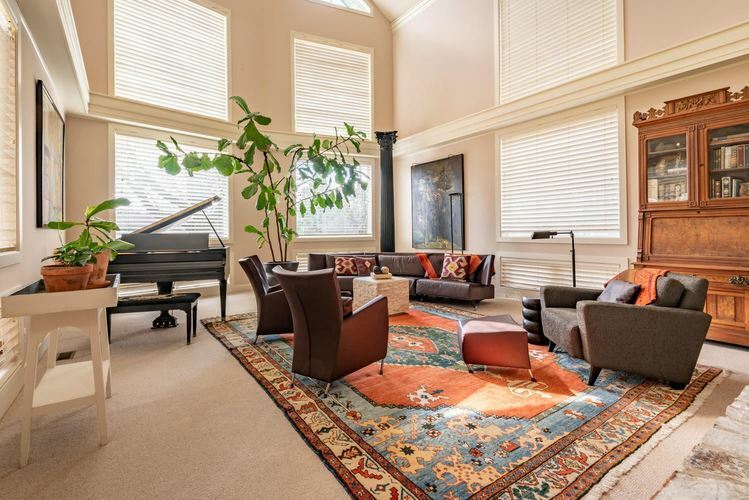 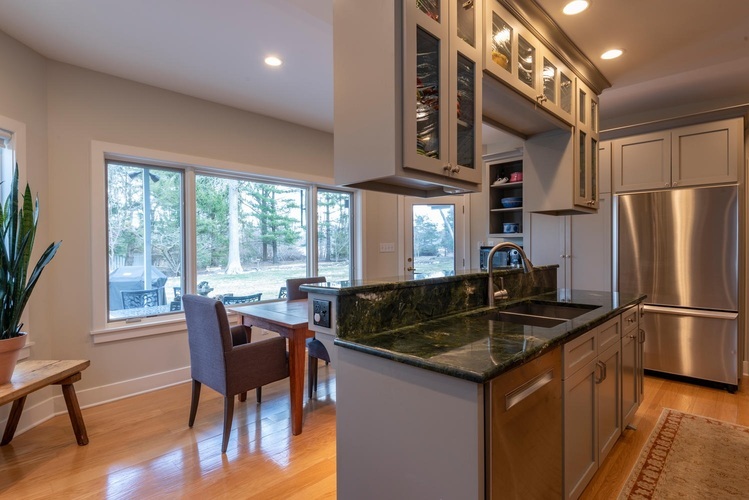 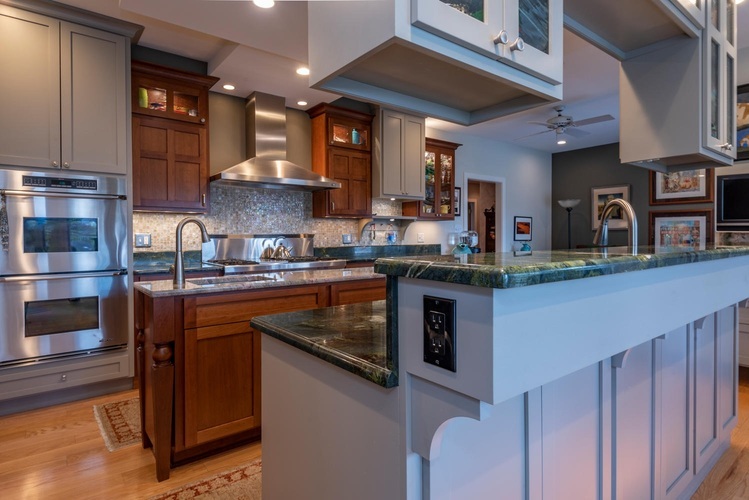 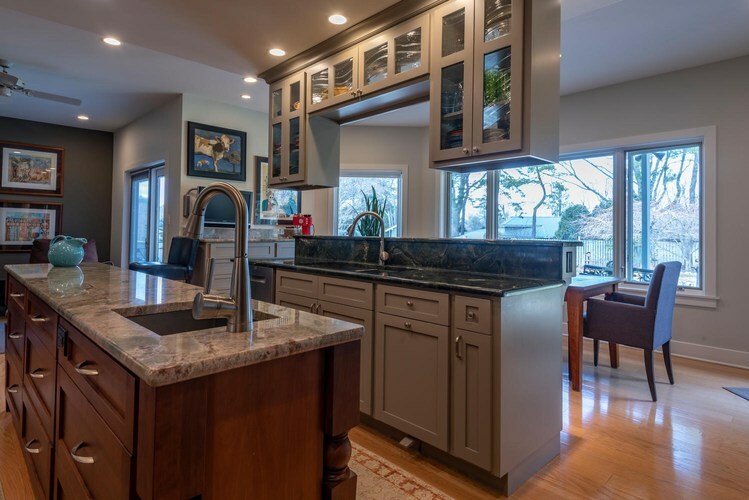 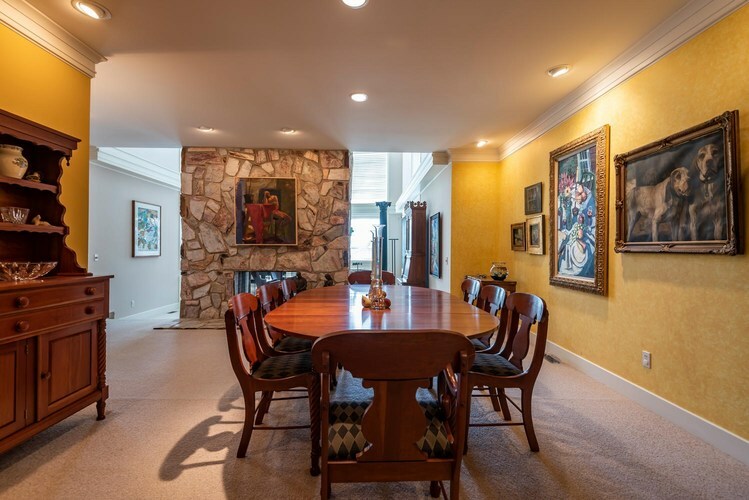 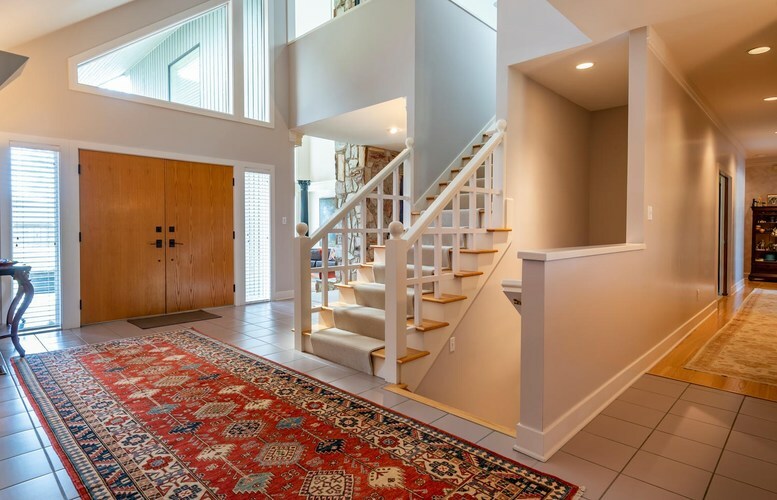 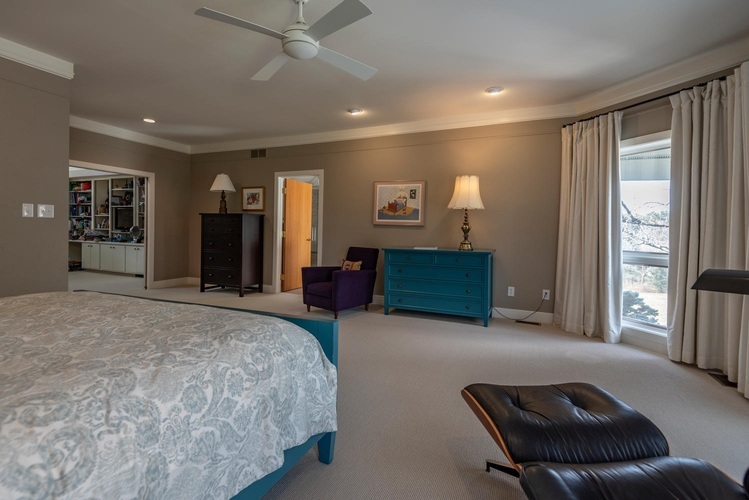 Beautiful hardwood flooring, crown molding, pocket doors, custom stone fireplaces, red oak ceiling slat siding and updated electronics merge the best of heirloom quality and today’s modern features. 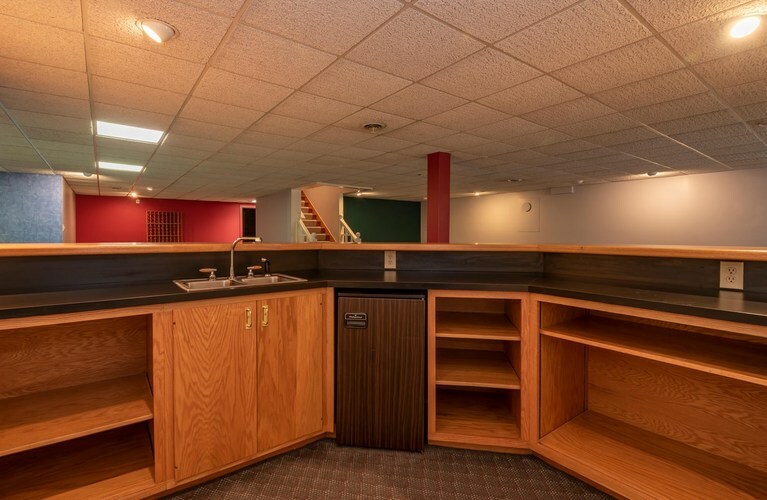 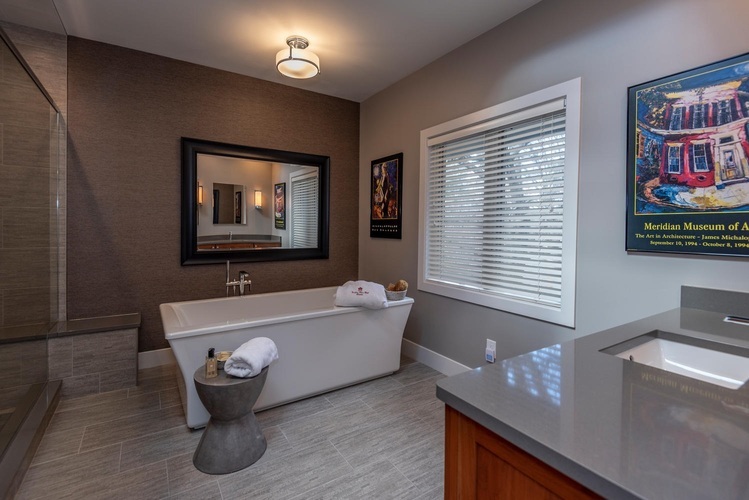 There is an upper level office loft that is adjacent to the luxury master suite that was recently updated 2017 with a spa bath, tile shower with body jets and rain shower, artistic soaking tub and bidet. 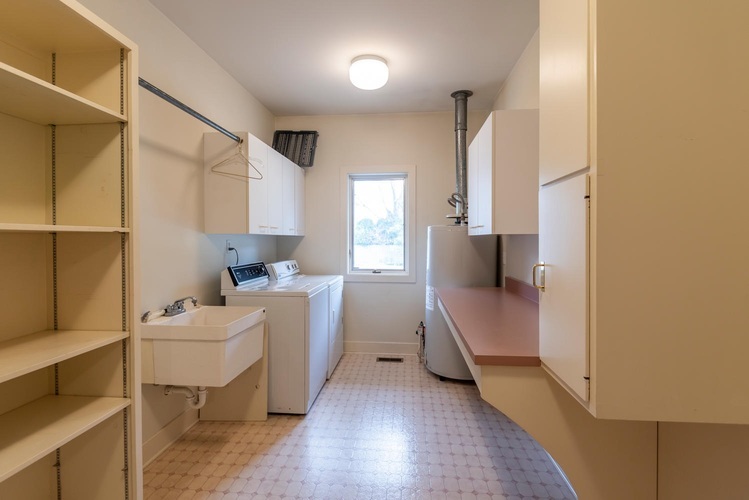 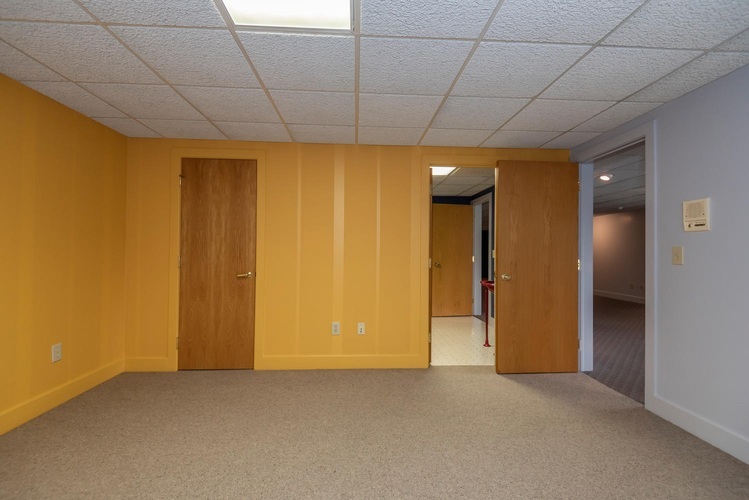 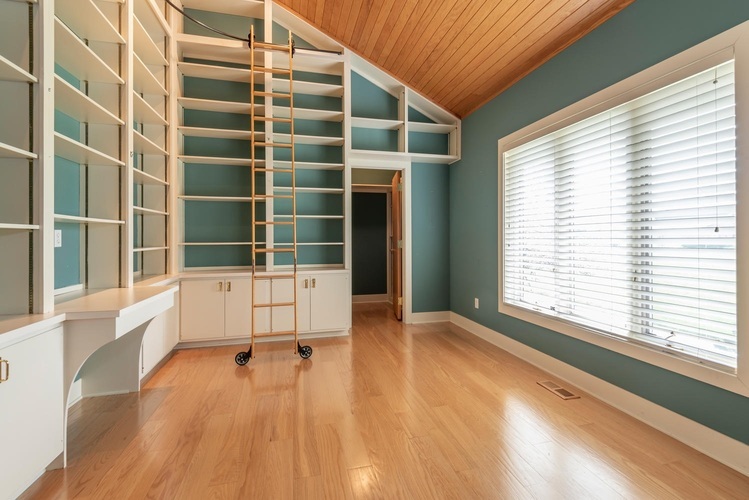 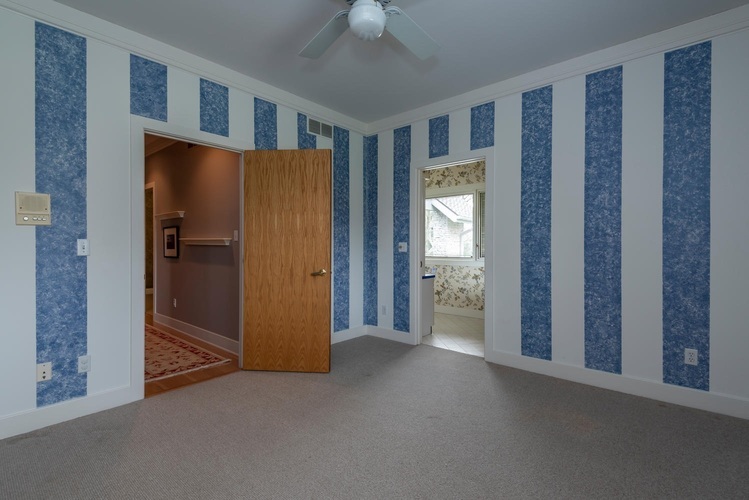 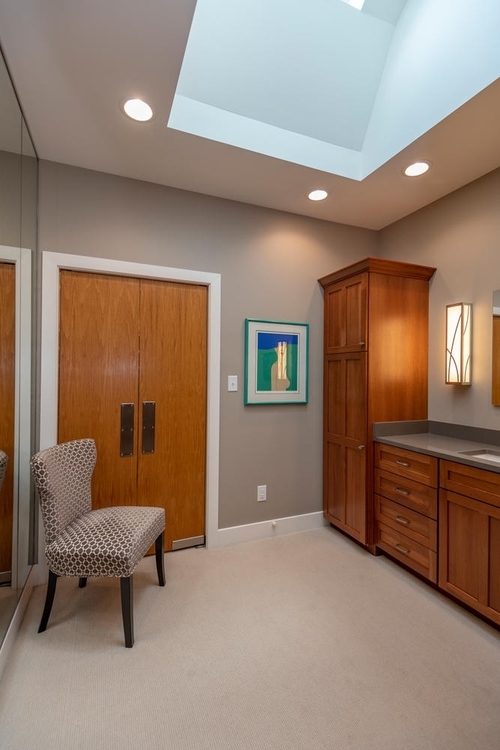 There is an additional dressing room with custom lighting, pull out drawers and skylight that leads into the walk-in closet area with custom built-in organizers. 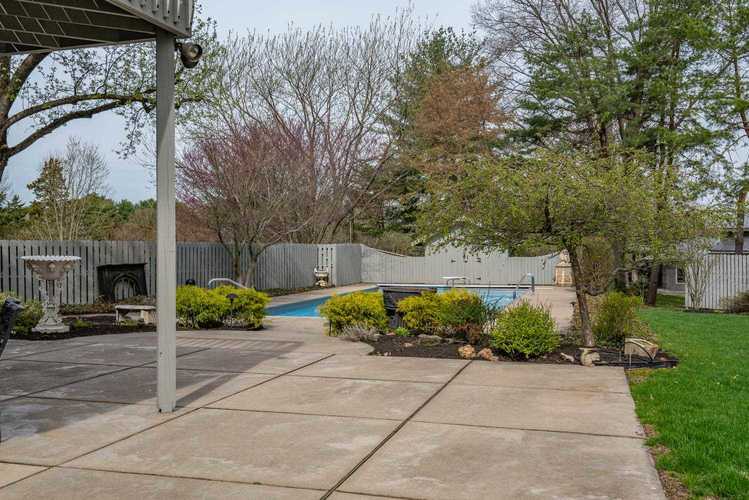 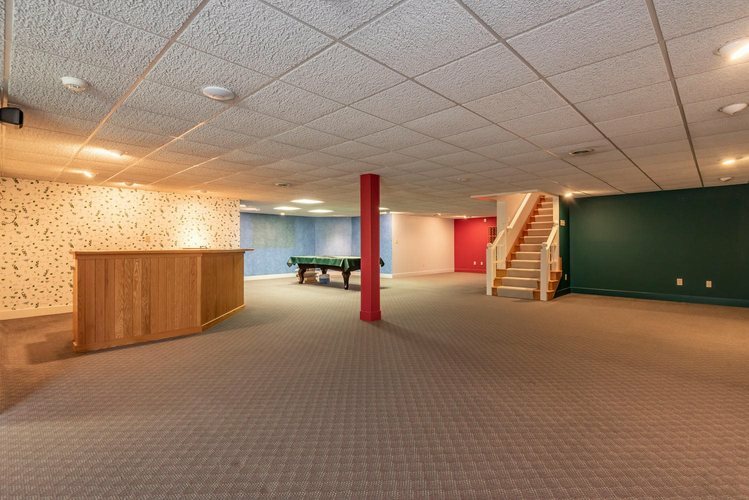 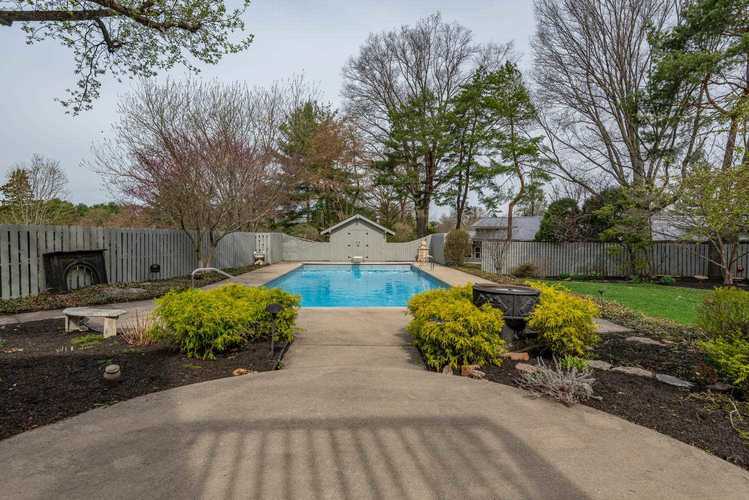 The walkout lower level has a spectacular entertaining area for pool, wet bar, recreation space, additional bedroom space, unfinished storage area and utility space with the three furnaces 2018. 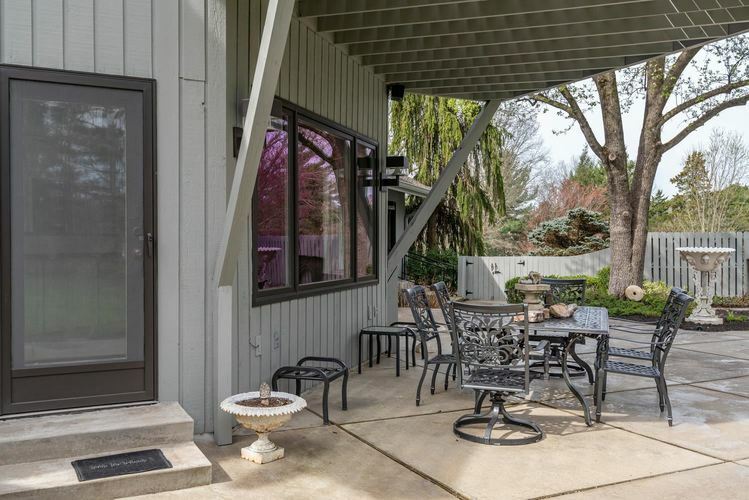 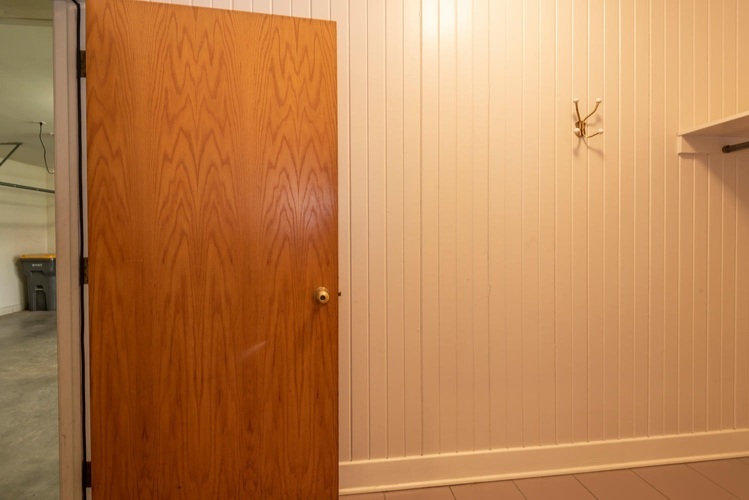 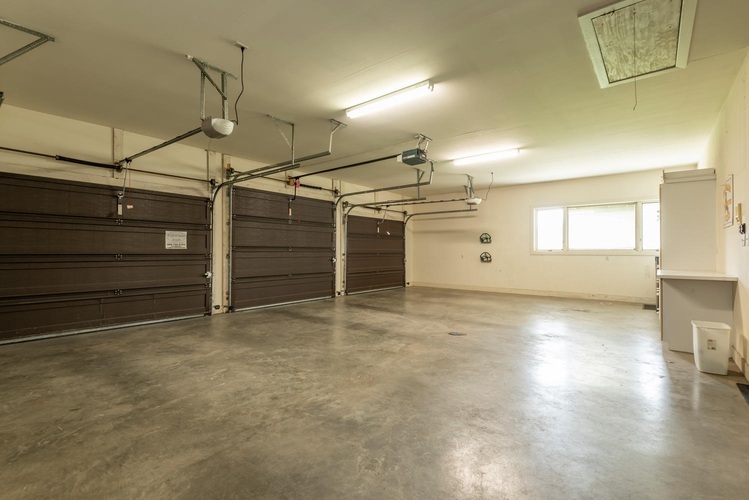 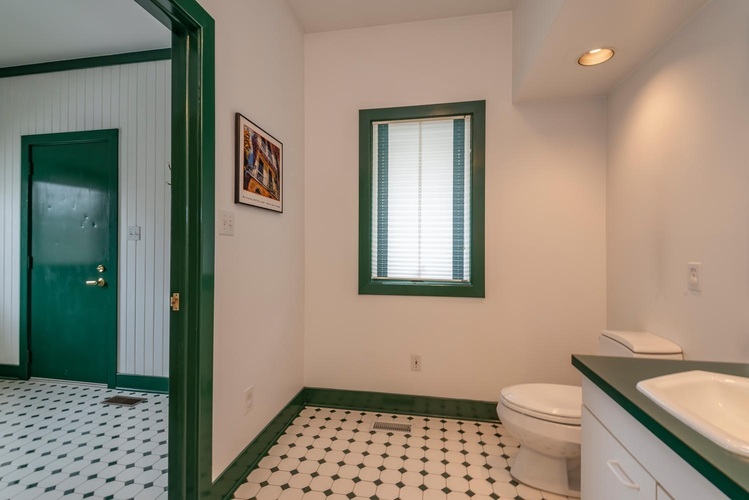 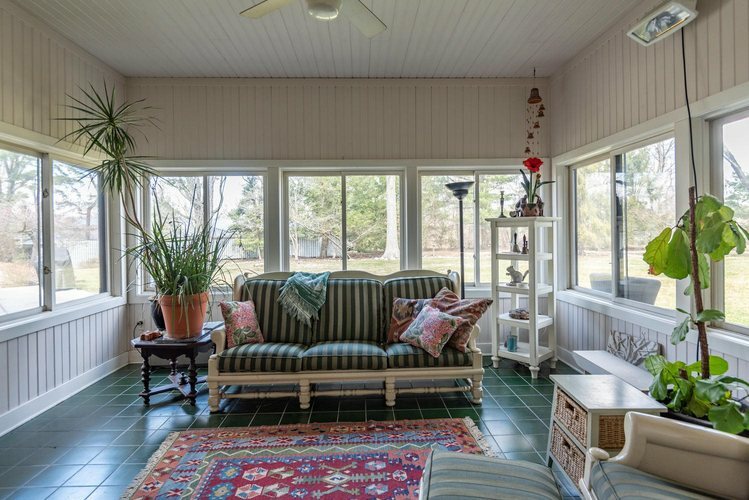 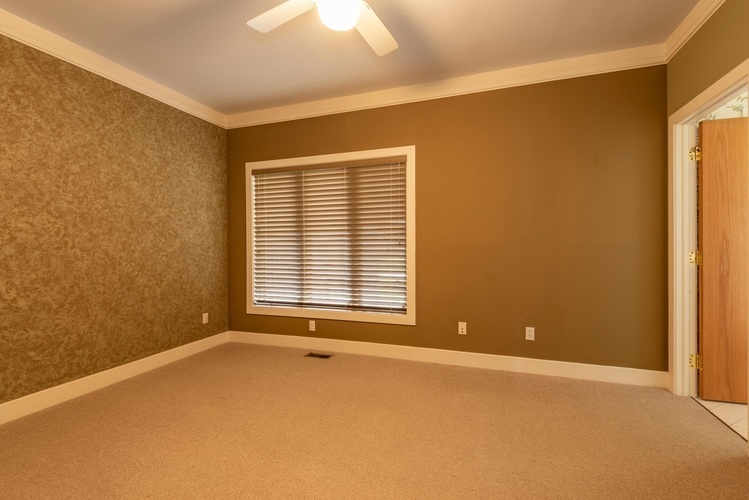 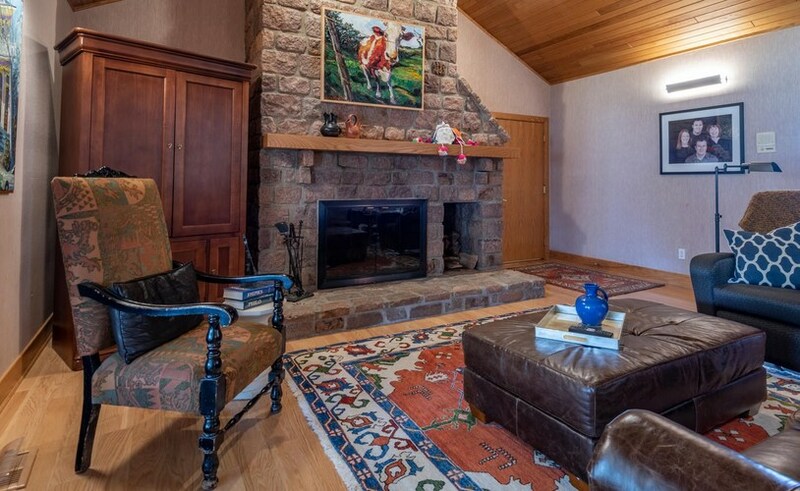 This lovely home shows years of meticulous care and recent updates. 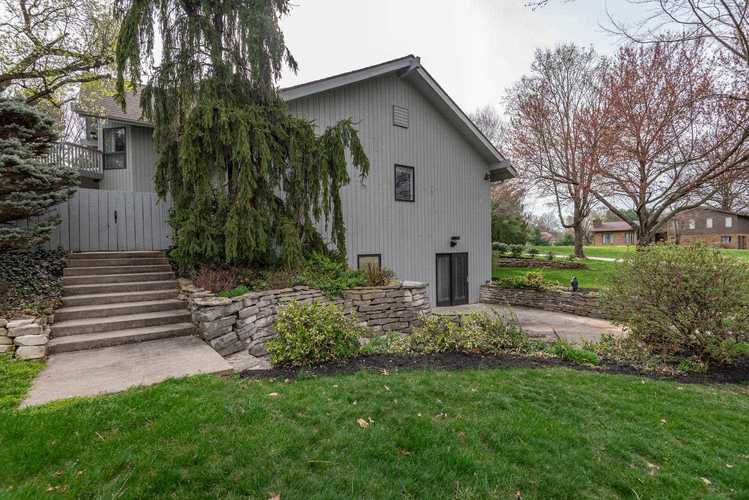 Conveniently located near Indiana University, College Mall and Bloomington’s cultural opportunities.